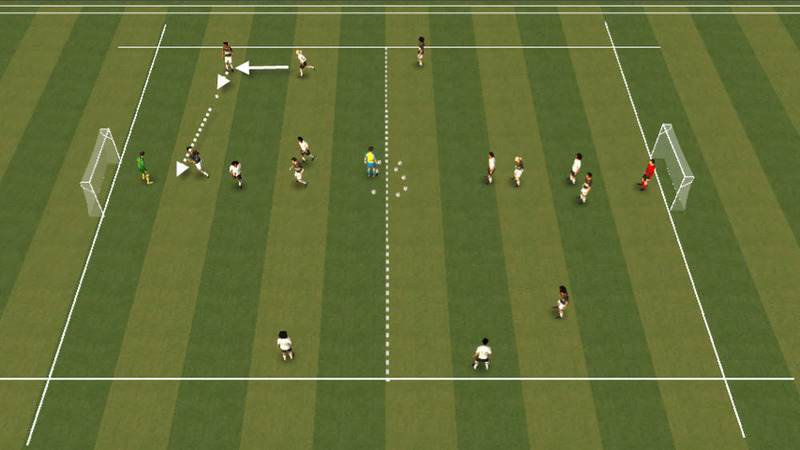 This a football training drill to help wide players improve their movement when receiving the ball from a fullback or midfield player, this will help to create more crossing and shooting situations and creates more space and time from the movement for the wide player. 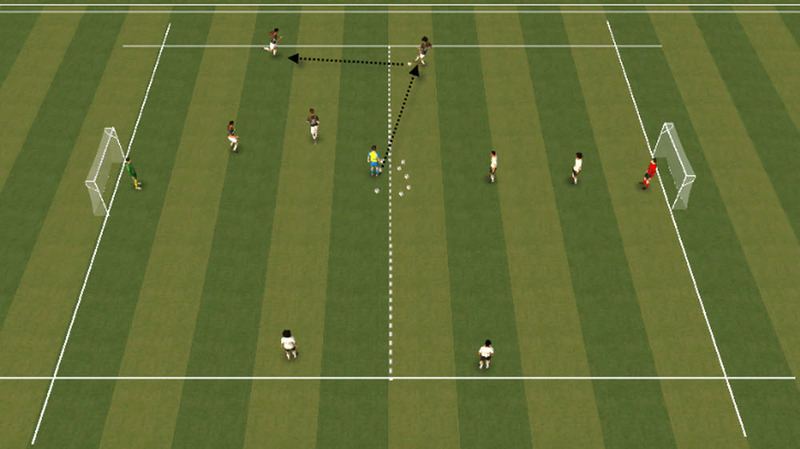 The purpose of the football training drill is to make sure that the wide player can adjust to any way to create space and time for themselves when receiving a ball from any player on the pitch, using all different types of movement working off the center midfielder, the striker and most importantly the fullback. This is so the wide player knows how to get away from his man to drag the defender away from the space, knowing what he will do with it once he gets it, then check to get the ball in the space with a movement, turn and the drive into the other space he has created. The end result should always be a successful cross, shot or attempt on goal. 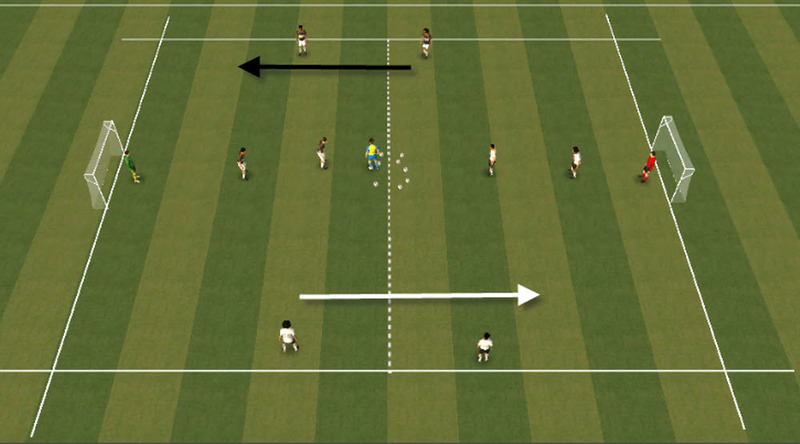 Ball starts with the server, who passes to the fullback. 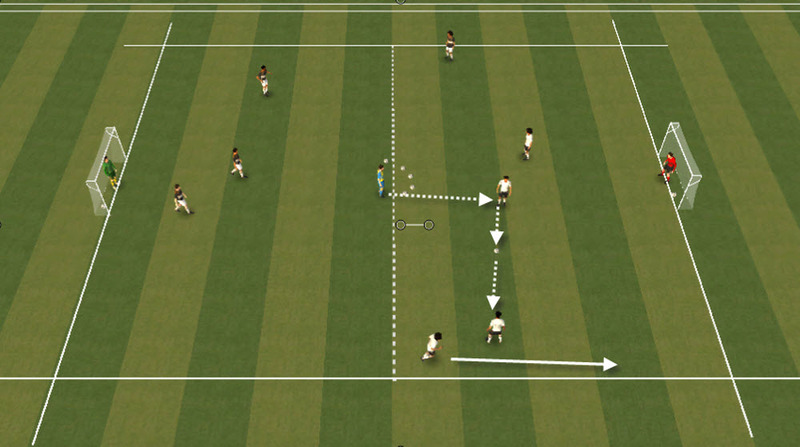 The fullback combines with the wide player, who then looks to get in a cross or shot. Midfield and forward to get into the box and attack the cross. After the attack, the game rotates, with the next attack again starting from the server, but now playing in the opposite direction. Bring in an opposition fullback to test the wide player. Create space with the ball, i.e over lap, under lap.